David’s birthday in October marked the beginning of our “let’s enjoy Britain” travels. We started by visiting Greenwich that month, and then Edinburgh in January, followed by Chester in March. There’s definitely a boat theme in our travels! We returned to budget travel for the journey to Chester – but this time in David’s “new” diesel cabriolet Smart car. It was far more comfortable than the 11-years-old left-hand drive diesel Smart that he had before! 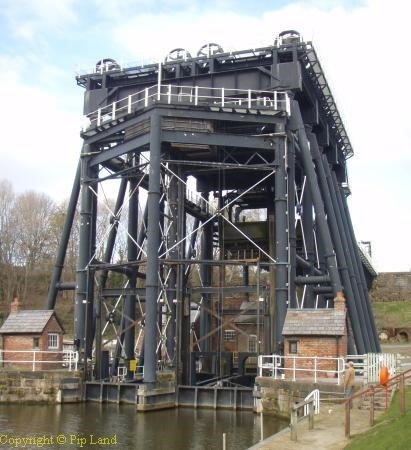 Our first stop was at the awe-inspiring Anderton Boat Lift. What a remarkable piece of Victorian engineering. And it was good to see that it was again being powered by a hydraulic system. At Chester it was again a Premier Inn that provided us with comfort on a budget. This one was in Caldy Valley Road and close to the Broughton Heath park and ride bus service. So we had a comfortable drive (free with our bus passes) into the centre of the city with no parking problems. And what a city! 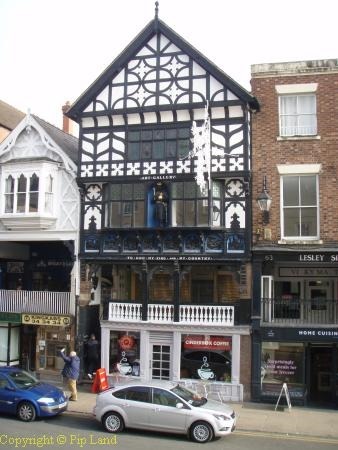 In the Rows – the first-floor half-timbered galleries which have provided space for a second row of shops above street level since the Middle Ages – one scene summed it up so well. A large group of primary school children were having a picnic in two of the alcoves (stallboards) along the Row on the West side of Bridge Street. With their brightly coloured jackets and their snacks they were truly children of the 21st century thoroughly enjoying the amenities provided centuries ago. After sampling the Rows we headed for Chester Cathedral and were delighted to find that the entrance fee had been replaced with voluntary donations. I thoroughly dislike places of worship charging an entrance fee. So it was encouraging to find that one of the pioneers of such charges had found, after a two-month pilot scheme, that it was more productive to rely on donations. In the Cathedral we were fascinated by the modern stain glass windows, the mid-19th century Pre-Raphaelite mosaics, the 14th century quire stalls and so much more. Not wanting to carry too much I had only my little Olympus Mu camera and so could not get a good photograph of the Chester Imp. 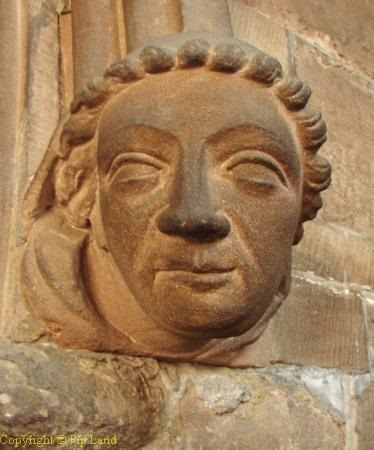 But some of the other medieval sculptured figures were just as intriguing. Two sculptures even looked like a man and his wife – with the wife perched discretely behind him (I needed a long lens to photograph them). After a brief visit to the Roman ampitheatre we made our way back to the bus stop. The following day we had a leisurely wander in the warm sunshine around the well laid-out and informative National Waterways Museum at Ellesmere Port. David was particularly fascinated by some of the good design features and the ropework on the leisure boat Amaryllis. That afternoon it was so warm we had the soft-top roof down on the car. Winter returned the next day, however, and so our visit to the servants’ quarters of Erddig Hall got off to a cold start. We were too early in the year for the full tour – so we will have to return sometime. Our thanks to the chef at the Brewers Fayre next door to the Premier Inn on the Sunday and Monday who helped me find meals I could eat, and assured David that no shellfish had been fried in the fryer used for the chips. It’s not often these days that David can order chips. We also had great pizzas at the Piccolino in Pepper Street. Below – left- the Anderton boat lift; right – one of the houses in Bridge Street, with the Row running above the white fronted shop. David organised this as my birthday treat but I almost wrecked it by lifting a heavy object some days before and setting off muscle spasms in my back. Thankfully the spasms stopped the day before we went north – and David got his Mercedes 320 Cabriolet out of storage to provide me with a very comfortable ride. Otherwise we would have gone in his very economic Smart diesel. The heated seats in his Mercedes were blissful! Yet again we had chosen a Premier Inn that had a free car park and easy access to local transport. This one was at Leith waterfront and was yet again well-run, friendly and as comfortable as ever. It was just a short walk away from a bus stop where we caught the Majestic tour bus. We had intended to walk around the centre of Edinburgh a lot more but it was very cold and I didn’t want that back muscle to go into spasm again. So, after a very interesting visit to the Camera Obscura we headed back to the bus stop. 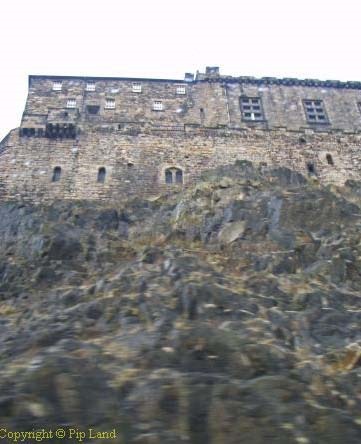 Thanks to the Edinburgh Tour and the Majestic Tour we got an excellent overview of this historic town even if we sat downstairs where we were protected from the wind and rain. 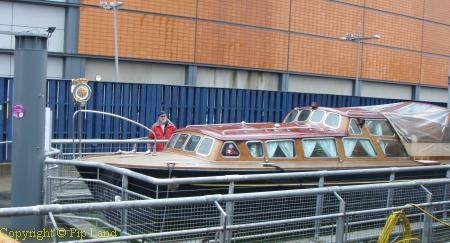 The following day we visited the Royal Yacht Britannia. It provided an intriguing insight into the lives of the members of the British Royal family – from the way it once provided them with a special way to escape from the public spotlight to the juxtaposition of their luxurious quarters on the upper deck with those of the crew down below. But even if the crew quarters were cramped it was obvious that most of those who served on the Britannia saw it as a very special honour. For David the highlights were that gleaming engine room and the Royal barge. 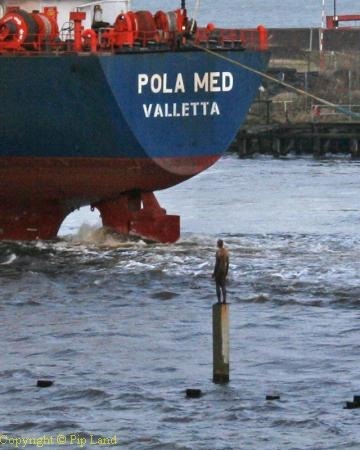 We also had a great view of one of Antony Gormley’s waterside statues. For those with food allergies and food intolerances we couldn’t fault either the restaurant on the Britannia, the Brewers Fayre at the Premier Inn, nor Prezzo at Pier Place in Leith. But the best meal of all was definitely at Prezzo. They prepared for me an excellent pizza with extra virgin oil, buffalo mozzarella, pineapple and ham. We have found that the chefs at Italian restaurants are amazingly creative when told they can’t use any cow’s milk products or tomatoes on my pizzas! Before heading home I bought some excellent fresh fish from Loch Fyne Fishmongers at Leith. Below – left: Antony Gormley’s statue dwarfed by a departing ship; right: Edinburgh castle soars above our bus; and underneath – that beautiful Royal barge. For a comfortable bed at economy prices we feel that little can beat the Premier Inns. For David’s birthday treat we booked in at their Inn at Rainham, Kent. 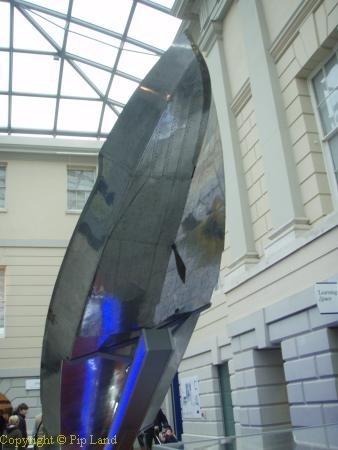 This provided us with the opportunity to see some of my family, including my mother (now in her 90’s) and the chance to visit Greenwich. We left the car at the Premier Inn and made good use of our concessionary bus passes by going by bus to Chatham train station. It was a memorable day thanks to visits to the National Maritime Museum, the Cutty Sark, and then the river ferry to the South Bank in London for supper at the Giraffe restaurant – one of David’s favourites. At the museum I especially enjoyed the exhibition about the East India Company and Asia as it connected so well with all the research I have done about the first girls’ schools in India and China. David was fascinated by the front rudder on Miss England III. This was designed and built by Hubert Scott-Paine in 1933 and a year later set a world record of 110.1mph for a single engine boat. We were both impressed by the Cutty Sark. David remarked: “That was wonderful. 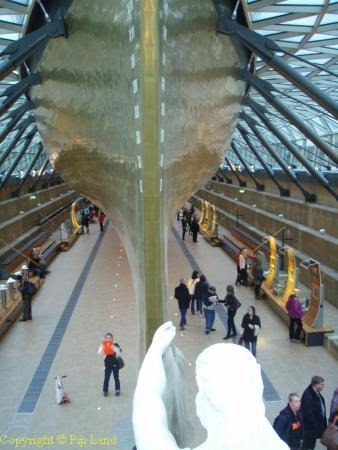 They made a good job of the restoration.” Below – looking up at Miss England III (left) and the Cutty Sark.